This absolutely fabulous uplighter was made during the Art Deco period probably in France. 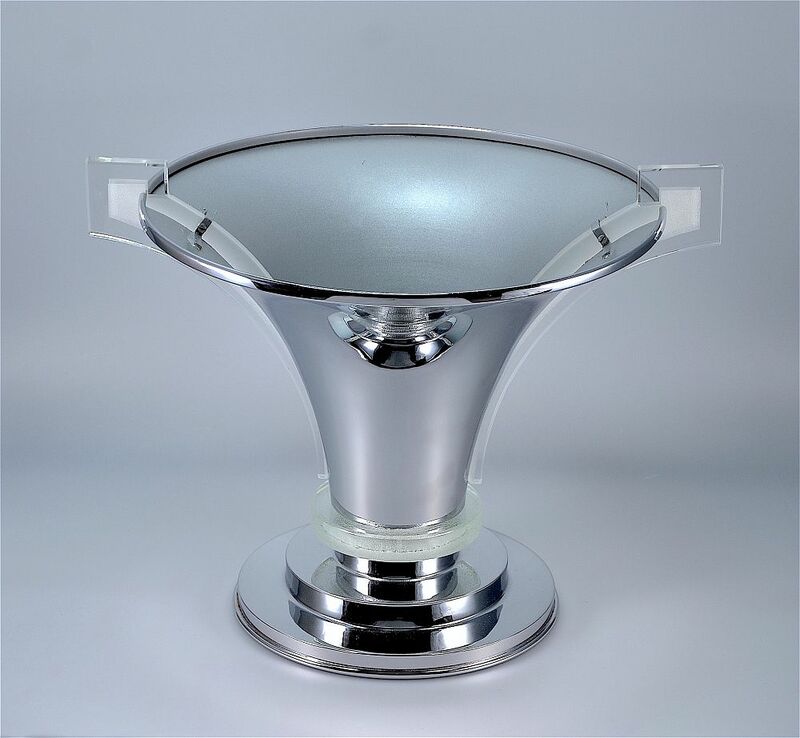 It has a three tiered round chrome base on which sits a round disc of frosted glass which in turn supports the flared trumpet shaped chrome top. There is a "fin" of frosted and clear glass running from top to bottom down each side of the trumpet shaped top. A real statement piece.